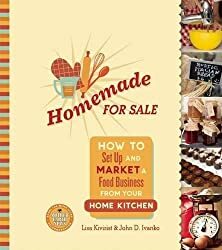 Today we’re chatting with Lisa Kivirist and John Ivanko, authors of Homemade for Sale: How to Set Up and Market a Food Business from Your Home Kitchen . What type of home-based business do you have and why did you decide to start it? We’re all about returning to a nation of butchers, bakers and candlestick makers. 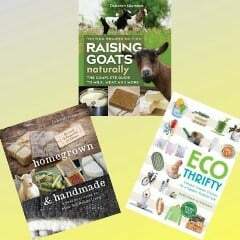 We write about this in many of our books, which include Rural Renaissance , ECOpreneuring and now Homemade for Sale . Our focus on home based businesses relates to “cottage food laws” recently passed as a positive outcome of the Great Recession, giving people back the freedom to earn from their home kitchen. Depending on the state, these cottage food laws are only for “non-hazardous” foods, either those that are low moisture, like bread or cookies, or high-acid, like jams and jellies. They address food products (not services) and in nearly every state, involve direct sales to the customer, not wholesale. On our farm and Inn Serendipity B&B, we’re always looking for ways to diversify. In diversity is stability. By creating value-added food products using fruits or vegetables from our growing fields, we can increase our profits with practically no financial investment — since everything we needed to launch the business was already in our farmhouse kitchen! In our case, we just canned an additional four dozen jars of sauerkraut and pickles for sale to the public at community events in Wisconsin. Tell us about two or three of your favorite entrepreneurs mentioned in the book? The husband-and-wife team of Erin Schneider and Rob McClure of Hilltop Community Farm based in LaValle, Wisconsin, use the excess summer harvest on their farm to make various high-acid pickles and preserves, which they sell at winter holiday markets. 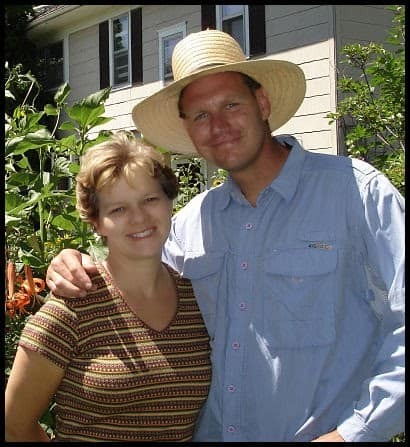 Like us, they used the cottage food law to help further diversify their farm operation sourcing the ingredients needed for their preserves and pickles directly from their organic farm. Regina Dlugokencky of Seedsower Farm in Centerport, New York, rises early in the morning to bake her loaves of bread for sale at her winter farmers’ market. Fresh-baked bread is sold alongside her collection of jams, products that perfectly complement each other and that maximize what she can do under her state’s cottage food law. To celebrate the freedom to earn, at least in the 42 states that now have cottage food laws. It’s amazing to us just how many people don’t even know you can launch a food business out of your home kitchen, often with little governmental regulation and nearly no start up expense. Homemade for Sale is the first authoritative book that serves as a guide to go from idea and recipe to final product. 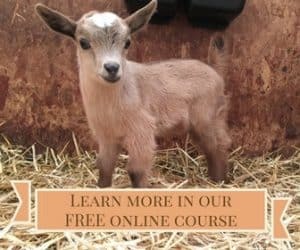 What is one of the biggest mistakes that people make when starting a home-based food business? A lot of folks have a fantastic recipe, delicious product and love to cook. They’ve always had this dream of running their own business or of turning their passion for baking or talent for making great tasting jam into a bona fide business. Marketing is an essential ingredient, from what you name your product to what you choose to put on the label and how you sell it. Since a great tasting product is just the beginning, Homemade for Sale focuses on the marketing aspects that help cottage food operators increase the likelihood of their success. Sometimes folks jump the gun and don’t craft a carefully devised marketing plan or do the necessary feasibility study. Your customers, not you, ultimately determine the product you sell and the price you receive. In our case, we’ve found a market for pickled pumpkin at $6 a pint. Interestingly, it’s often purchased as a gift for someone else. What is one piece of advice you wish someone had given you before you got started with your business? Start small and grow your enterprise. It all starts with a seed of an idea (or recipe), but it’s important not to do too much, too fast. That’s what the cottage food laws are for: test out your products, build market demand and grow, slowly, your business. We devote much of one chapter in Homemade for Sale to examining whether scaling up is even what cottage food operators really want. For many operators, family balance, flexibility and sharing their love of cooking is far more important. That said, the last section of the book goes into options for scaling up, including renting a community incubator kitchen or building a commercial kitchen on site. If you’d like to have your own copy of Homemade for Sale, you can purchase it at your favorite bookseller or enter our giveaway, which started Monday! I have requested my Library purchase Homemade for Sale. I am first on the list! P.S. Are you aware a list of the 42 states that now have cottage food laws? The best place to find state by state info and a listing of the 42 states is Forrager.com. We feature them on our main Homemadeforsale.com website and in the book, too.